Since its inception two years ago, some quarters say that its impact on the ground has not been felt much. Small and medium enterprises (SMEs) as well as individuals across the country have taken turns on social media and other platforms to accuse the company of sins it did not commit. Charged with the responsibility of generating the country’s power, Electricity Generation Company (Egenco) has been producing insufficient megawatts of electricity to meet ever-increasing demand for the same. Jacob Mesa, a Blantyre-based barber, recalls how his business went on life-support machine because of what he claims are Egenco’s inefficiencies. The 30-year-old man went as far as procuring petrol-powered standby generator in an attempt to cushion the challenge of power outages which, in turn, he laments increased the business operational costs. “I was forced to raise service-fee charges to meet the operation costs,” Mesa, who plies his business along Haile Selassie Road, bemoans. He adds that the turnout also negatively affected his business leading to decreased revenue base. Mesa claims that prior to persistent power outages, he used to rake in about K70,000 per day but that amount has drastically decreased to a meagre K5,000. He is not alone in this predicament. A restaurant operator Chisomo Nkombadzi of Liwonde in Machinga says her business also faced a downturn by about 45 percent within two months due to unreliable power supply. “During last year’s blackout episodes, we had to lay off two members of staff because we were not as productive. “As you may appreciate, a restaurant relies on charcoal but there is a ban on that too,” Nkombadzi explains. The stories of Mesa and Nkombadzi are just a few examples of many small and medium enterprises in the country that hope for a permanent solution to power outages. But there is a glimmer of hope as their wish is likely to be granted following the commissioning of the new Kamuzu Barrage in Machinga. Among others, the new barrage is expected to reinvigorate their dampened hopes because it was designed to increase water harvesting capacity from the Shire River for use in the dry season for hydro-power production. The barrage’s purpose in energy sector complements other short- to long-term measures by Egenco and Electricity Supply Corporation of Malawi (Escom) such as the completion of the rehabilitation works on Nkula A Power Plant. Constructed in 1965, the barrage outlived its lifespan prompting government with support from the World Bank to embark on its upgrade in 20l4. World Bank provided $50 million (approximately K36.5 billion). The multi-million dollar project included raising the water level upstream and increasing storage capacity of Lake Malawi. It also involved the extension of the bridge piers, upgrading of energy dissipation structures and construction of a new bridge downstream parallel to the existing one. Norplan Consultants Engineer Peter Maele says a computer software model for using the collected hydrometric data for optimised management of water for hydro-power generation and irrigation as well as for flood control has been developed. Maele adds that the structure has 14 steel radial gates which regulate the flow of the Shire River. “[The] capabilities that have been installed on the new structure would further reduce the electricity generation challenges that have been haunting Malawi for ages,” Maele says. Egenco spokesperson Moses Gwaza says the new barrage will enable the company to regulate the flow of water and equally distribute it even in the dry season. “Currently, water holding capacity has been increased with 40 centimetres. This implies that we can now store additional 40 centimetres of water across the lake surface,” Gwaza says. “This is a huge volume of water that will allow us to operate hydro-power stations effectively and efficiently once the lake level capacity has been reached,” he explains. “The new barrage is now more accurate in terms of water volume being released because it is computerised,” he adds. Senior Water and Sanitation Specialist at World Bank Josses Mugabi describes the upgrading of Kamuzu Barrage as timely in as far as harnessing water and land resource management efforts in Malawi is concerned. 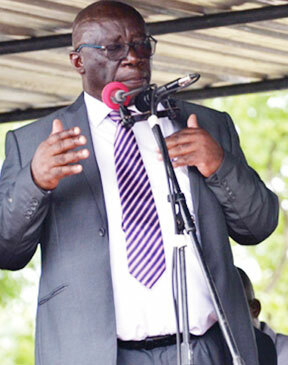 Apart from controlling the water level of the Shire River to reduce floods, the project will greatly boost Shire Valley Irrigation Project and Mpatamanga Hydro Electricity Power Plant, Mugabi says. “New Kamuzu Barrage is the most important infrastructure in Malawi, especially on hydro-power generation. This is the case because improved power generation lead to socio-economic development of the country,” he adds. To this effect, Mugabi says the World Bank remains committed to supporting Malawi to improve its water management system which serves different purposes, thereby rescuing millions of Malawians from abject poverty. Speaking recently during the inauguration of the multi-million barrage, President Peter Mutharika described it as a huge infrastructural investment in the energy sector aimed at improving electricity generation for business and domestic use. “We needed the new barrage because the latter was obsolete to effectively serve its purpose. I, therefore, would like to thank the World Bank and the engineers for a job well done,” he said.